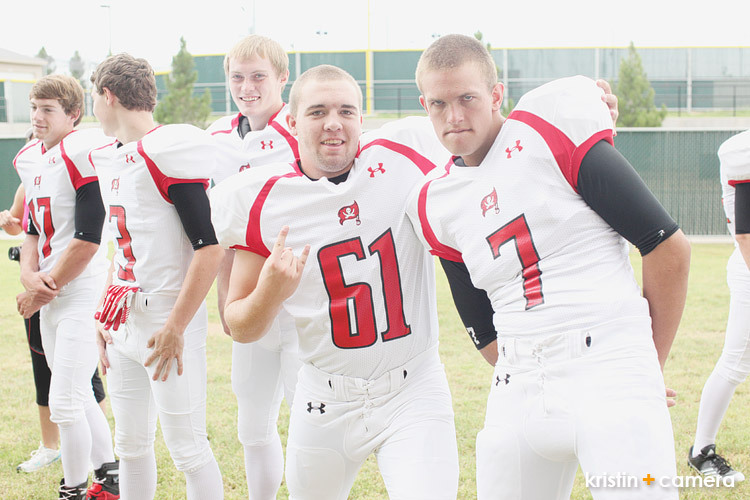 Last weekend, I photographed the LCHS Football Team. It was so much fun! And such a workout! There were 200 players and I photographed each player from different heights. This meant squatting and getting back up over and over again. WOW! What a workout! When you get a group of guys together, there's always a bit of mischief. This group was no exception. Kalyn Marie came along to help and while photographing the varsity, I had her keep the camera on the group assembling behind me. Pretty cute, don't you think?